With a heavy heart we bade farewell to Mandalay. Despite the fact that the city hasn’t much in the way of beauty, we nevertheless felt comfortable and almost at home. We liked our hotel, we liked the restaurants and we really enjoyed all the sites scattered around the city. 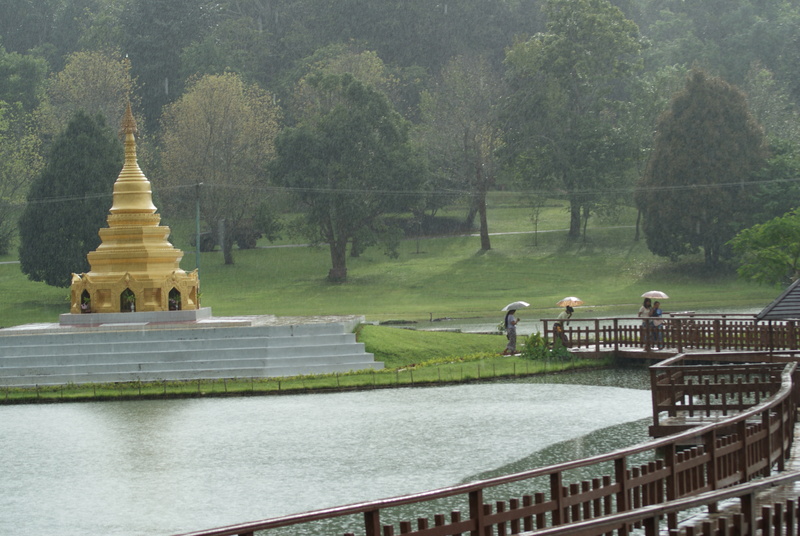 We were now heading to Pyin oo Lwin, once known as Maymyo, a hill station founded by the British in the late 19th century. Mandalay had been very hot (over 40 Celsius mainly) and back in the colonial days, the British couldn’t take the heat. So they founded hill stations in Burma, as they did in India They had an incredible knack of locating these stations in places with excellent weather, and by the time we arrived in Pyin oo Lwin after only a two hour drive, it felt as though we had moved to a completely new climatic zone. It was cool, there was no humidity, and it felt really wonderful after hot Mandalay. On the way we went hiking to the Anisakan Falls. We are a very active family and we love to hike. I’d read about these spectacular falls and it sounded like a great hike. 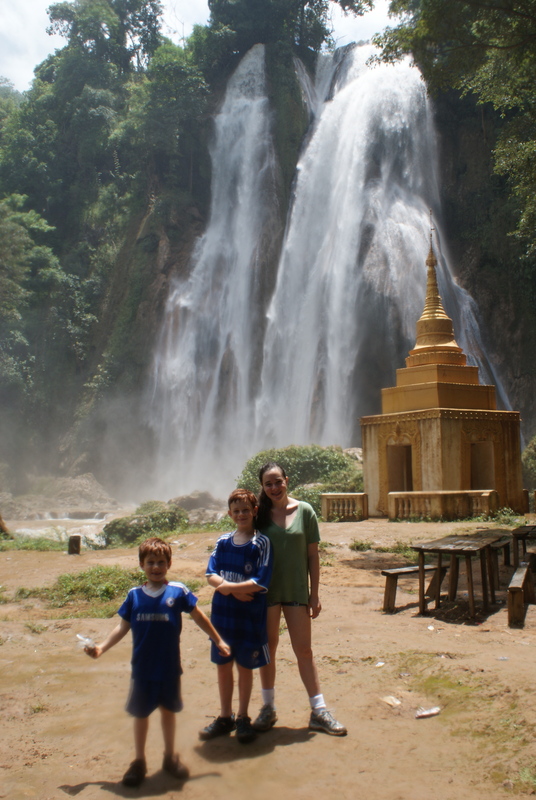 The falls are a few miles before Pyin oo Lwin and they are signposted off the road. We stopped at a tea shop, and were immediately surrounded by two young girls offering to be our guides. I didn’t think we needed guides, but they stayed with us as we started down the trail. Almost immediately we were surrounded by dense jungle, though the trail was easy to follow. On the way we passed a number of rest stops that included benches to sit down, and every time we stopped the girls would fan us with their hats. Eventually, after about 45 minutes, we reached the falls, which were absolutely fantastic. We were surprised to see a few other tourists there, and we stayed for a while, happily being drenched by the spray of the falls. The way up was much harder – it was hot and steep, and the fact that the girls continued to fan us with their hats was now very welcome. Roughly an hour later we were at the top of the hill. Arriving in Pyin oo Lwin , we stopped for lunch at the Golden Triangle bakery on the main road. It’s a magnet for travelers with various coffees and baked goods for sale., and expensive as well. The kids ordered pizza, a real rarity in Myanmar, which they loved. But the service was terribly poor – slow and forgetful. We checked into our hotel, the Kandawygi, which must have dated back to the days of the British. The rooms were huge, the bathrooms were huge and it reminded me of stately colonial houses that I have seen elsewhere. Still, it had TV, fans and very comfortable beds, so we were happy. After check-in we headed off the the main attraction of the town, the National Botanical Gardens. 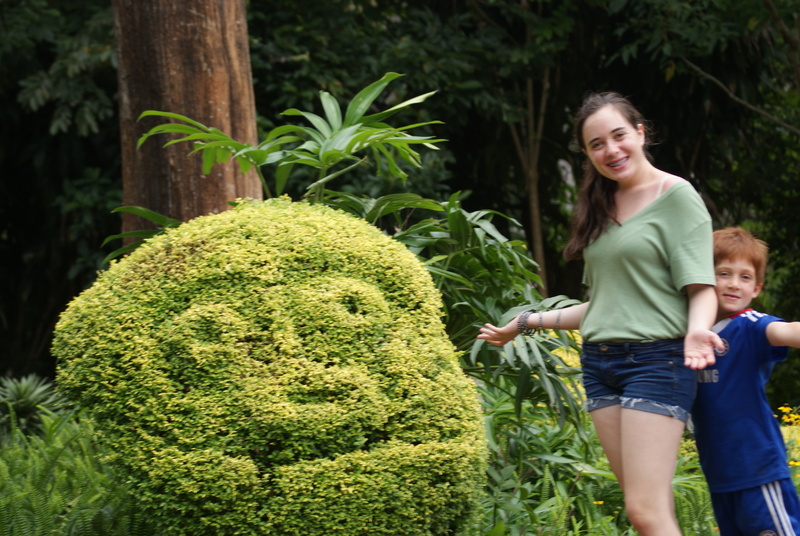 We are not big on Botanical Gardens, but we loved the gardens at Pyin oo Lwin. 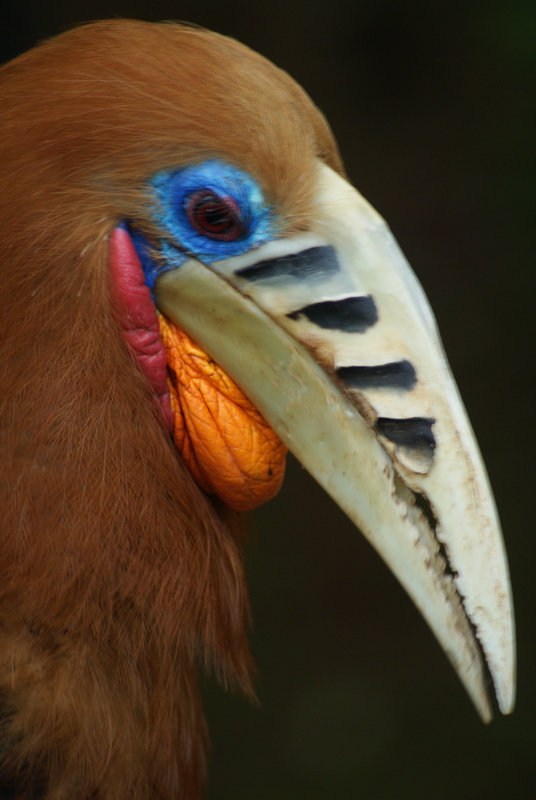 Firstly, they are stunningly beautiful, ,with flower displays, lakes, many spectacular birds, and even a small zoo. We wandered around, visited a petrified wood display and the zoo, and the kids had a great time exploring and running around. 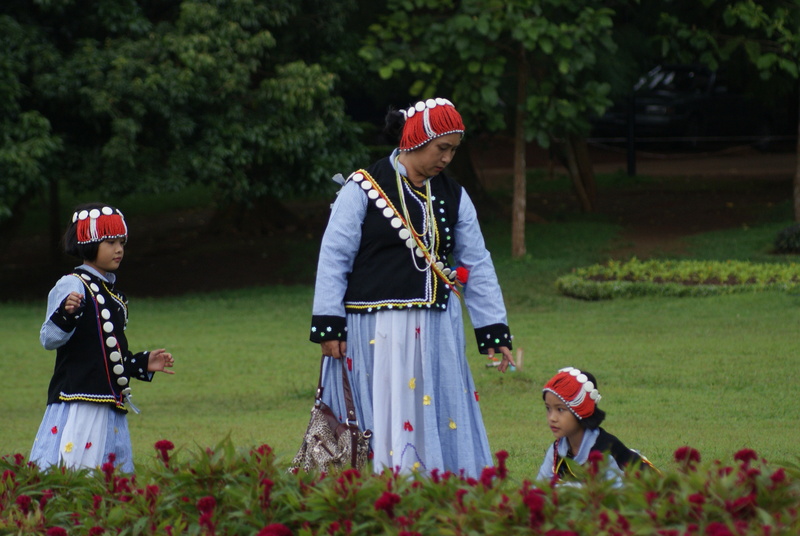 We also saw many Myanmar people enjoying the grounds, including a family dressed in amazing tribal outfits. This was one of the best Botanical Gardens that I have been to anywhere and well worth the visit to Pyin oo Lwin. Later, back at the hotel, we ate in the dining room and happily there was another couple eating there, whom we quickly became friends with. Outside it was pouring with rain – in fact a massive thunderstorm raged, but inside, we felt almost transported back to the days of the British Raj. « Myanmar/Burma with Kids: Mandalay Day 3: Nearly struck by lightning on Mandalay Hill.